We are a full-service commercial roofing contractor located in beautiful the Northeast. We provide a large variety of services to better aid our valued clients. A quick review of the services we provide are as follows. Repair: If your commercial roof is leaking or showing other signs of damage, there is no need to worry. Our team of expert repair technicians are specially trained in all commercial roofing applications and the repairs they need to improve their functionality. 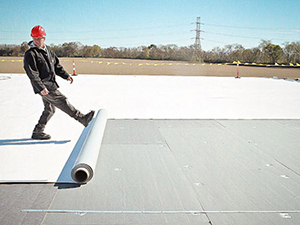 Repairs are provided to all commercial roofing applications in a timely and efficient manner. 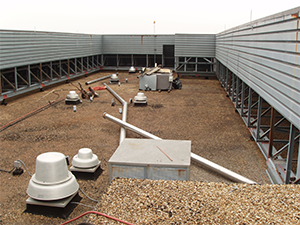 To learn more about our commercial roof repair services, please visit the following link: Commercial Roof Repair. 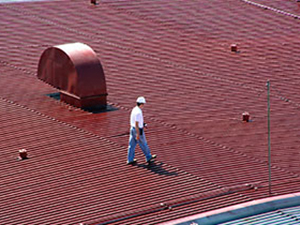 Replacement: When your commercial roofing asset is due for a replacement, whether from advanced age or storm damage, you cannot go wrong with Capital Coating, Inc. Our replacement teams are skilled in removing your old worn out roof without causing an excessive amount of disruption to your building. We take care of all debris removal so you will never have to worry about disposing of old materials. Once the replacement procedures have begun, we will work tirelessly to have your roof replaced in a timely manner. If you would like to know more about our roof replacement options, please visit the following link: Commercial Roof Replacement. 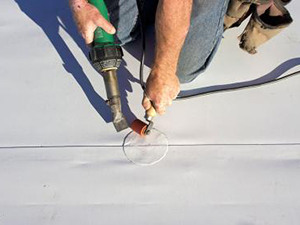 Restoration: Having your roof coated is great way to invest in your roofing system and your building. Commercial roofing assets are put through a lot here in the Northeast. With the heat of summer, large heavy amounts of snow in the winter months, and being constantly exposed to all of the elements really takes its toll on your roof. This is why everyone could benefit from a roof coating. There are several ways your building and your pocketbook will directly benefit. 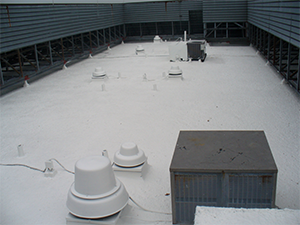 To learn more about our roof coatings, please visit the following link: Coatings. Maintenance: We have developed our maintenance program with one thing in mind – helping our customers get the longest, worry-free life out of their commercial roofing investments. According to industry studies, when a roof is not properly maintained it can cut its lifespan by as much as 33.3% all the way up to 50%. Our maintenance program is here to make sure that does not happen to you. Necessary repairs and routine upkeep will be provided in a timely manner to ensure the success of your roofing system. If you would like to learn more about our maintenance program, please visit the following link: Roof Maintenance. Inspections: Every roofing project begins and ends with a thorough, all-points, roof inspection. The first allows our technicians to develop comprehensive roofing solutions specific to your roof. The second inspection is strictly for quality control. Our project manager will examine repairs, confirm your new roof was installed correctly and ensure your roof coating was applied appropriately. As always, at Capital Coating, Inc., customer satisfaction is always our first priority. For more information on regarding our inspection services, please visit the following link: Roof Inspection. Here at Capital Coating, Inc. we understand that when your commercial roof needs attention it can be a stressful time for building owners and property managers. This is why we ensure all the services we provide are hassle-free and performed by trained experts. You can reach us by phone at (717) 442-0979 to learn more about the commercial roofing services we provide.